Through getting in touch with life in Kangemi and additional research, ecologic, economic and social interconnectedness and responsibility became more obvious for me. It felt natural to work with free materials and think in objects that could be made by up-cycling existing products. Further i had the idea to create a design that could be re-created in a do-it-yourself version by the people in Kangemi using also just simple tools and techniques. Already in an early stage of our team work we were making use of freely available glass objects like screw top jars, glass bottles and light bulbs. 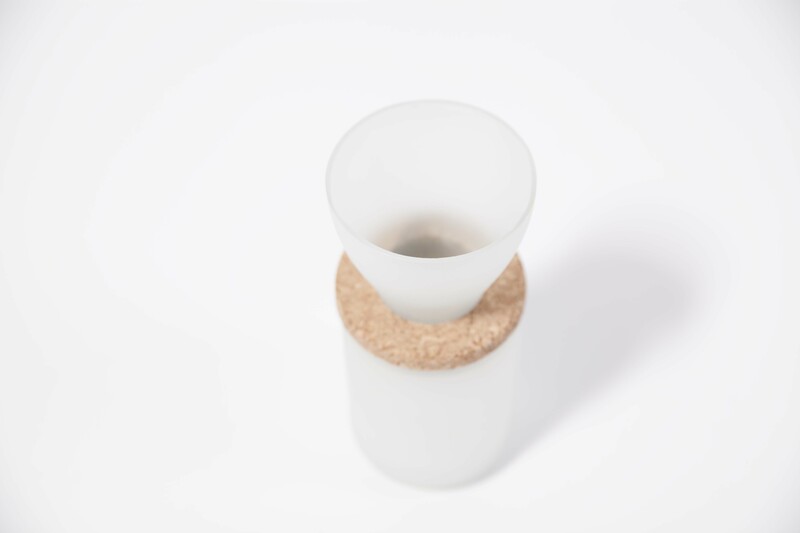 Even though the direction of our work changed throughout the process, i stayed fascinated by the material of glass and how relatively easy already existing shapes could be divided and transformed into something new. 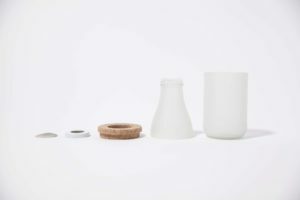 SHIFT is a tea and coffee maker that consists of just five simple parts and is basically made out of a one liter milk bottle. 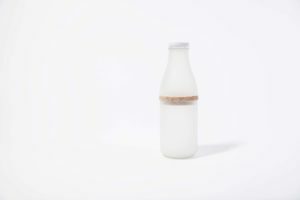 The bottle is cut in two, the upper part turned around to serve as a funnel. 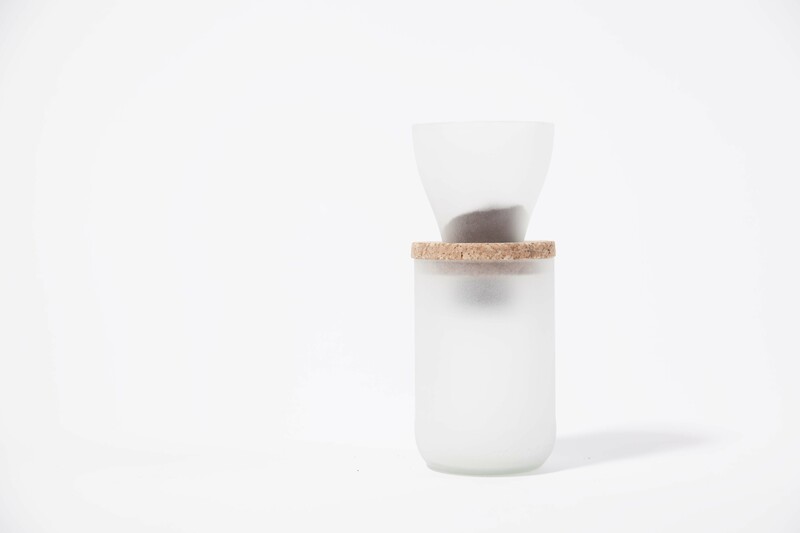 The bottle top is made use of as a part of the filter system. It is drilled through and gives hold to the stainless steel wire frame piece that filters tea and coffee. 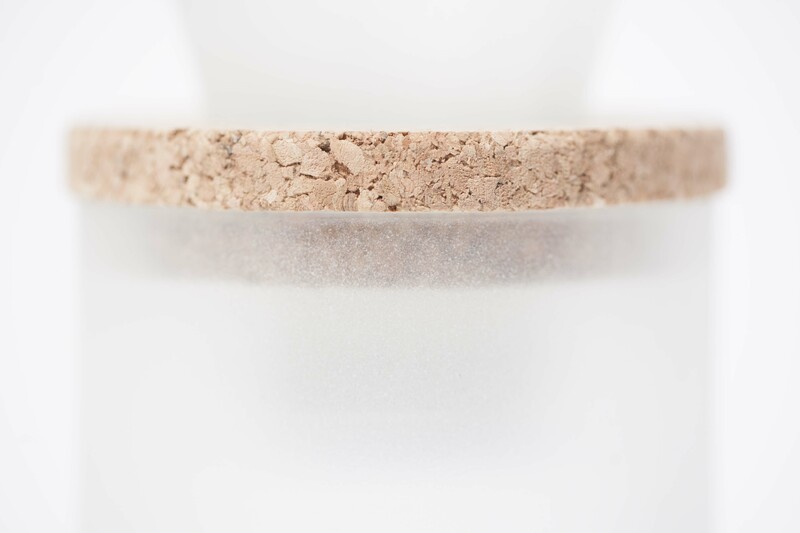 The outsides of the glass are sandblasted to get a milky semitransparent surface and create more grip for the hand. My first attempts of making a coffee maker from a wine bottle included having to use a conventional paper coffee filter each time. This part i replaced through a filter system that does not constantly produce additional waste. 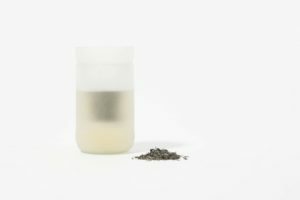 The integration into the bottle top also opened up the possibility of making tea. Either one can put the upper bottle part reversed into the lower part, add tea and hot water and let the tea steep in there. 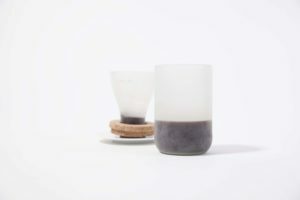 Or one can use the connection ring made from cork to create distance and let the freshly brewed coffee drip through the filter into the bottles bottom that serves as a drinking glass. 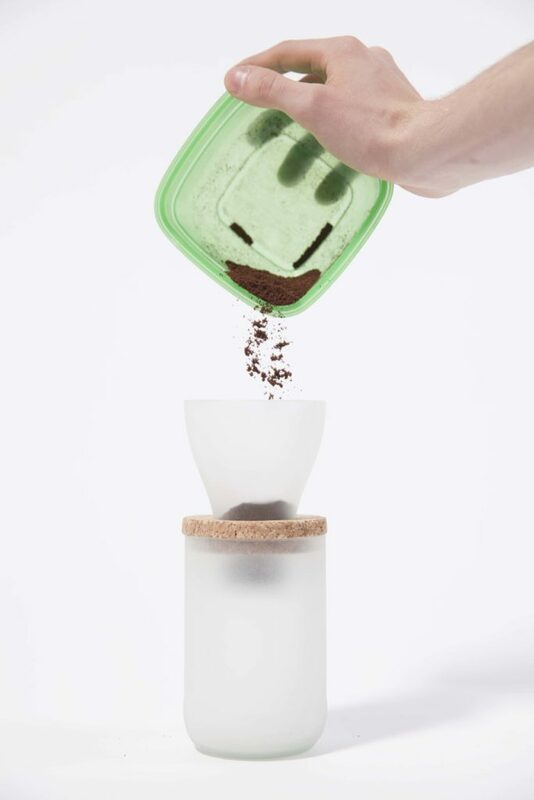 SHIFT is also perfect for making cold drip coffee. My process of developing SHIFT included getting familiar with different ways of cutting glas bottles. Through many tries and errors i learned about the peculiarities of this material being in particular shapes. I tried to develop the most effective combination of techniques and execution, staying in a frame of simplicity, to get the best results in the processing and shared my learnings in the form of a manual with the Love School kids. piece of cotton cloth works very well as a filter instead of a wire frame.